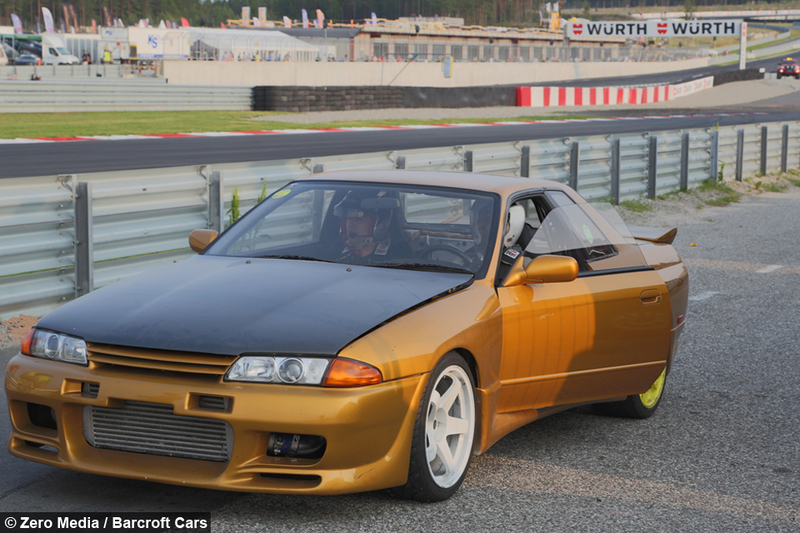 The practice, known as “drifting”, sees skilled skilled drivers approach corners at speeds of up to 140mph before oversteering, skidding round the bends in a cloud of smoke. 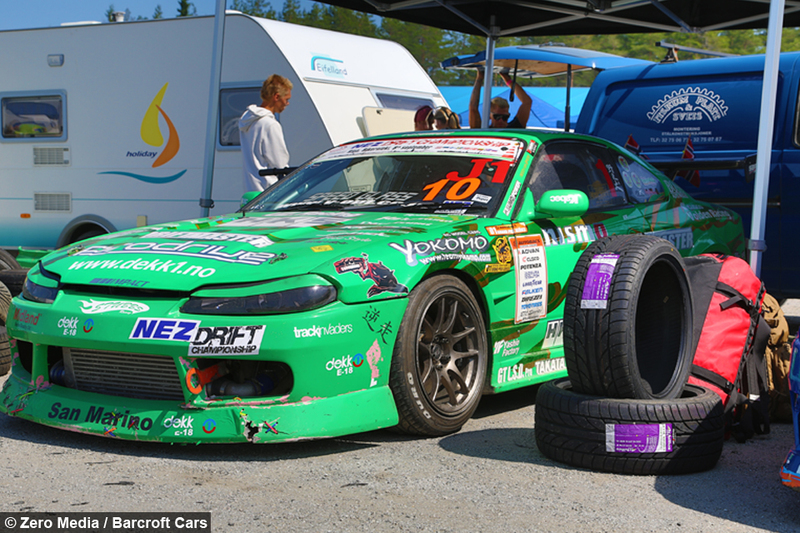 Videographer Luke Wilson, 26, followed ‘Team Driftmonkey’ during the 2013 season, as they trained and toured in Japan and competed in Norway and Sweden. The team consists of two permanent drivers and one guest driver, who steer highly modified vehicles which have a massive 800 horsepower. And the UK filmmaker described the dangers involved in the high octane sport. He said: “Following the team is a bit like filming in the wild west – I've had my fair scrapes and even had pieces of car hit me. 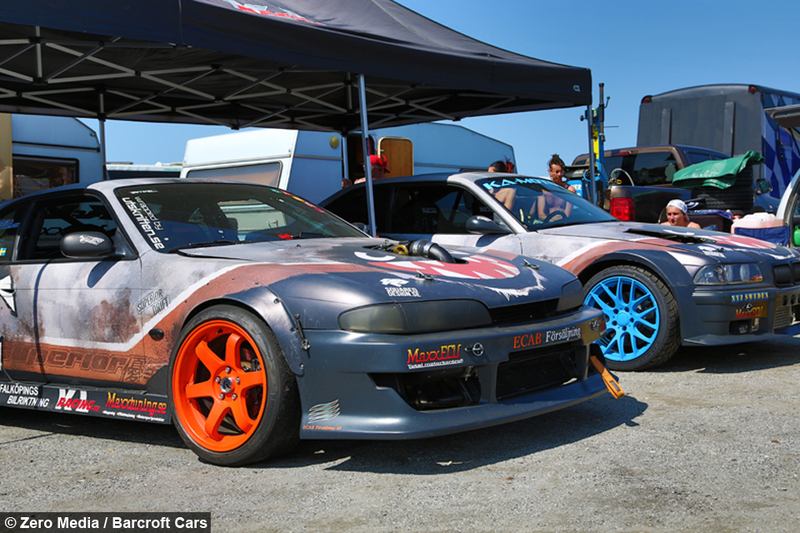 “Some of the cars which Driftmonkey compete against have an incredible 1200 horsepower which is more powerful than a Bugatti Veyron. 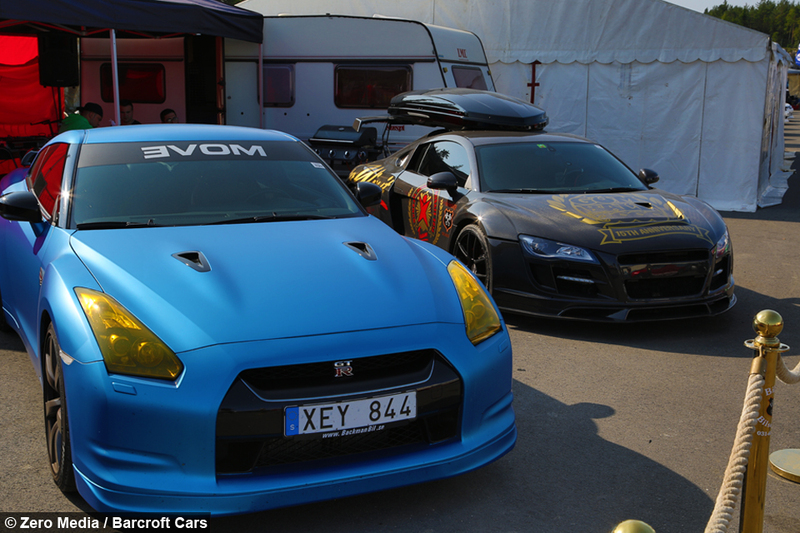 Luke also covered the team at the Gatebil racing event in Norway – which features over 100 super charged cars. 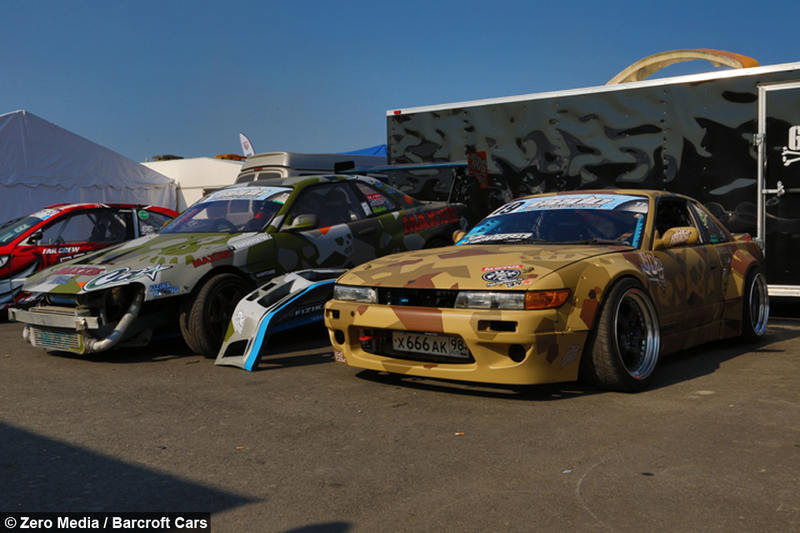 He said: “Gatebil draws huge crowds and the action is very raw and anything goes. 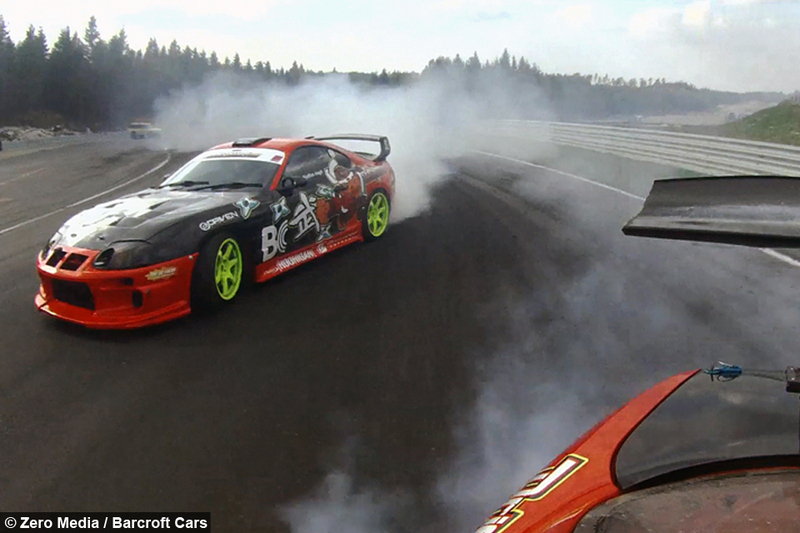 It's like a paradise for anyone who loves motor sport. 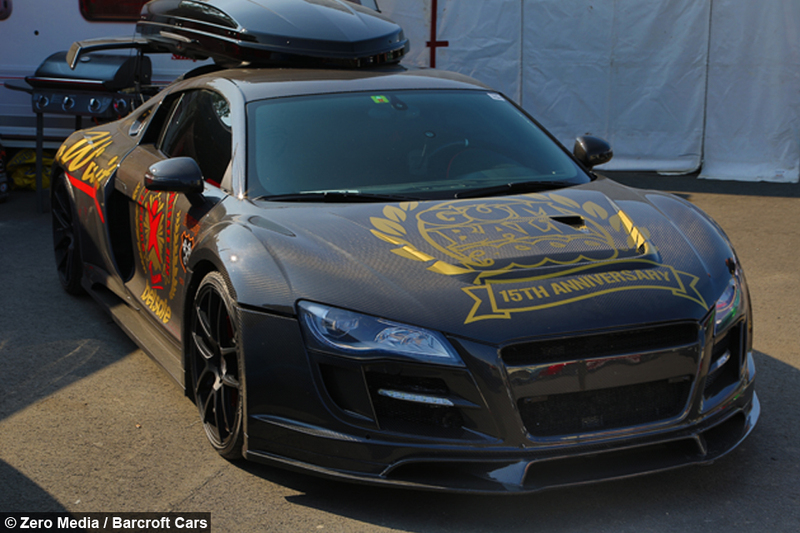 “One of the races involves passengers and unfortunately one of them lost their leg in 2014. “There was a collision and one of the cars burst into flames - a passenger then exited the vehicle and instead of staying near the barrier, he crossed the road and was hit by a car going at top speed.